Uncle Sam really rocks!!! Teehee.. and by rocks, I mean ROCKING! 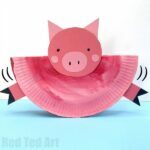 Yep.. it is yet another Rocking Paper Plate Craft for kids… we have made a few recently.. as they are so fun and easy!!! 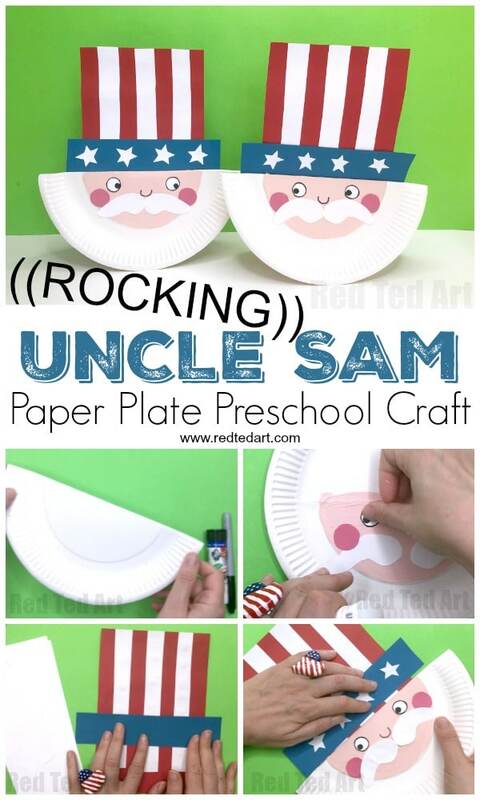 Today, it is all about the Rocking Paper Plate Uncle Sam, a perfect Uncle Sam craft for Preschool and young kids at heart. 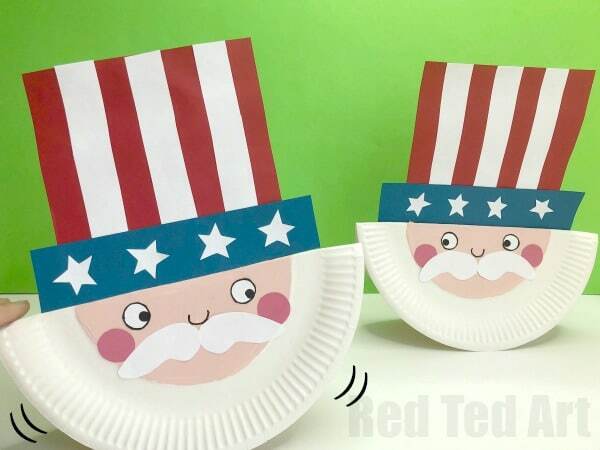 So if you are looking for some Patriotic crafts for the 4th July, hopefully this paper plate Uncle Sam is just the ticket. 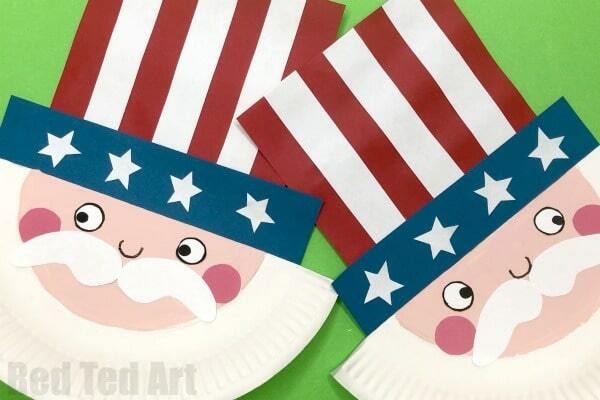 Nothing like a fun and EASY Patriotic crafts for Preschool. 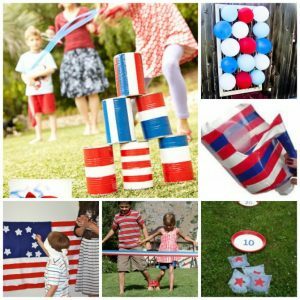 Do check out the rest of our 4th July and American Craft Flags for Kids! 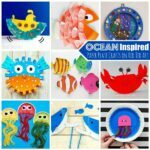 As well as our fun collection of Paper Plate Crafts for Kids! 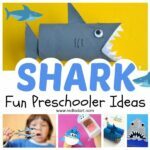 Begin by folding your paper plate in half! 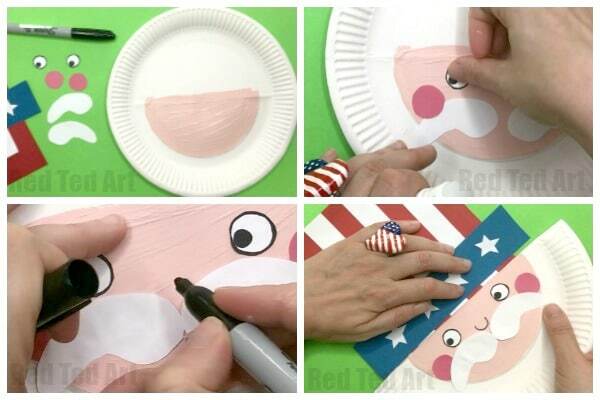 If you are painting the face, now paint the the semi circle in the centre of the paper plate pink and let dry. 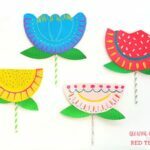 If you are using paper or pens to decorate.. then either cut a semi circle of paper and stick on.. or colour in with pens! If you are using pens or paper you can finish the face off now (see below). If you are using paint, move onto prepping the hat. 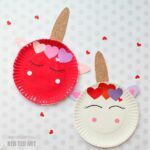 We used red paper with white paper scraps for the hat… however, you can use the reverse too (most people have more white paper to hand!! But I happen to have a lot of red). Measure the width of the face against the red paper and cut a long rectangle this width. Cut out some strips of white paper.. mine were about 1.5cm wide. 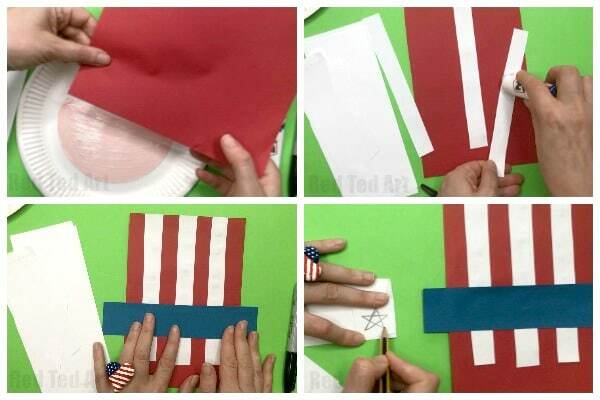 Glue onto the red paper to get a red and white pattern (we used 3 white strips). Now cut a long thing blue rectangle – that is about 4cm wide and LONGER than the red paper is wide. This blue paper will make the BRIM of your hat. Glue across the red and white stripes. Now cut out 4-5 stars. We did this by drawing a simple five pointed star and cutting multiple stars out at the same time. Glue these stars onto the brim of the hat – we used 4. You will need to cut out two eyes, two rosy cheeks and a moustache. The moustach is a big “comma” shape – but any shape will do!! You choose! Your Uncle Sam craft is nearly finished…. 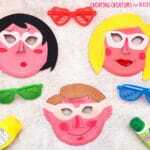 once the face is fully dry, glue on the facial features and draw on a nose. 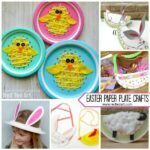 Then glue the hat to the back of your paper plate. 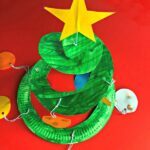 As a finishing touch, add a little cellotape foled on itself to make a sticky circle to the INSIDE of your paper flaps, to keep the two halves of the Rocking Paper Plate craft closer together and avoid them flopping open! 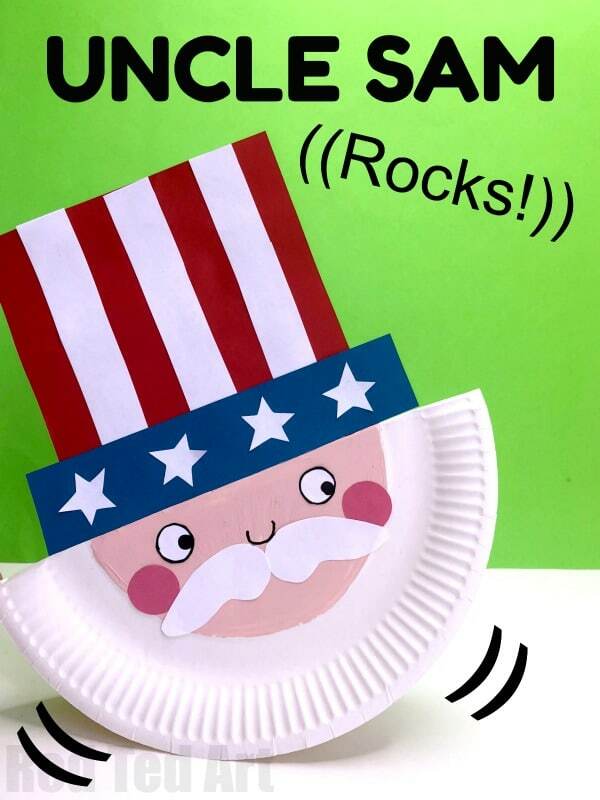 Your Rocking Paper Plate Uncle Sam craft for Preschool is finished! !